王佛娇, 邓敬颂, 程小会, 赵成林. 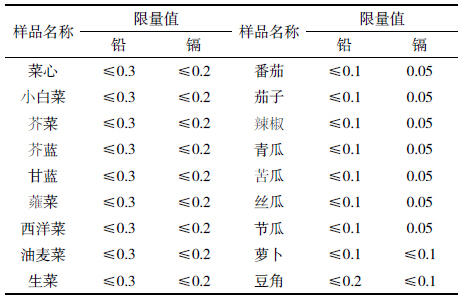 广东省部分基地蔬菜重金属污染评价[J]. 农业资源与环境学报, 2014, 31(5): 446-449. WANG Fo-jiao, DENG Jing-song, CHENG Xiao-hui, ZHAO Cheng-lin. 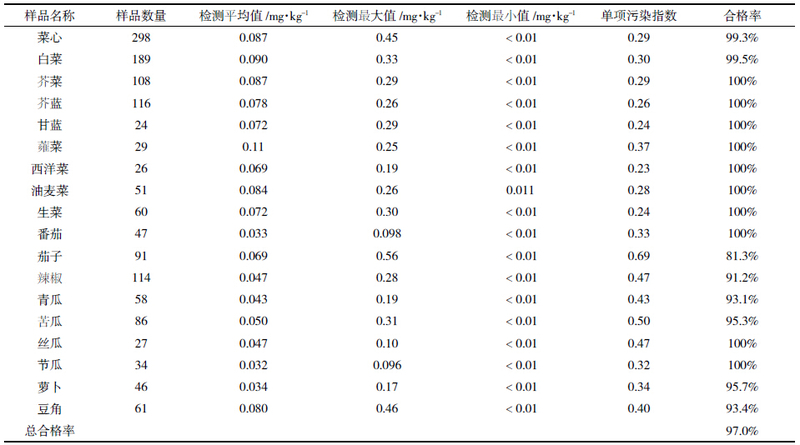 Assessment on the Contamination Status of Heavy Metals in Some Vegetables Growing Areas of Guangdong Province, China[J]. Journal of Agricultural Resources and Environment, 2014, 31(5): 446-449. Abstract:We detected lead and cadmium in 1 465 vegetable samples of 18 vegetable species collected from 516 vegetable planting bases in Guangdong Province. The results showed that the highest average contents of lead from water spinach(Ipomoeaaquatics)was 0.11 mg·kg -1 in all species of vegetable samples. The highest average contents of cadmium from water cress(Nasturtium officinale R.Br. 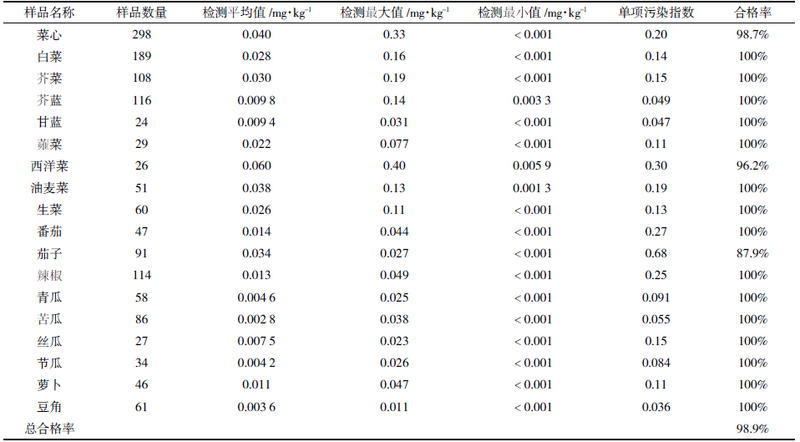 )was 0.060 mg·kg -1 in all species of vegetable samples. The qualified rate of lead in all samples was 97.0%. 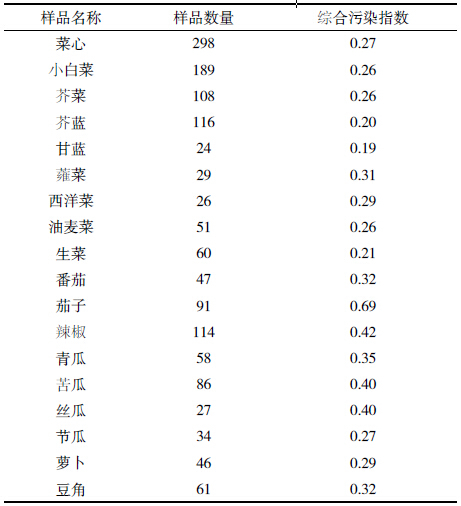 The qualified rate of cadmium in all samples was 98.9%.The average pollution indexes of lead and cadmium in these species of vegetable were less than 0.7. The heavy metal security status of all veg-etables from these bases in Guangdong Province were at the excellent level.